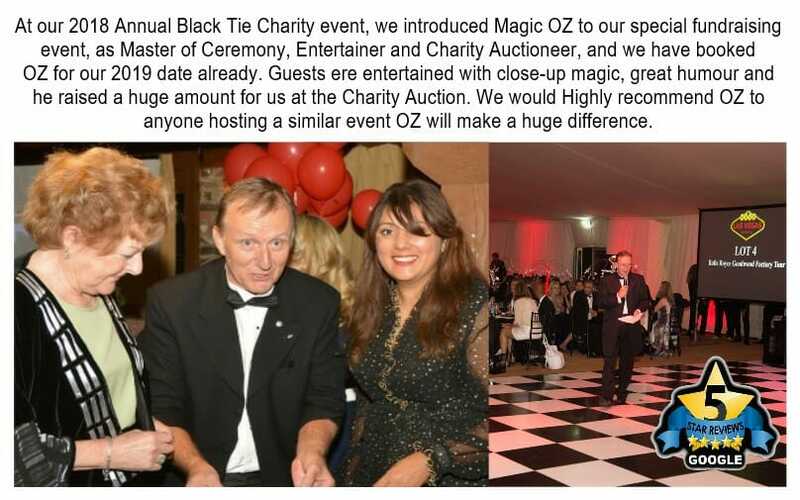 Oz will get more funds from your special guests guaranteed and he offers great advice before your charity event so please give Oz a call today. Oz gains as many funds as possible and has amazing ideas to help you to improve and to achieve your charity goals. Oz who is a Highly recommended Charity Auctioneers in Surrey and covers all over Southern England. private charities, and fundraising for schools and other charity organizations all over the UK.